BOZEMAN — There’s a defense problem brewing at Montana State. After a 93-84 loss to first-place Weber State on Thursday at Worthington Arena in which the Wildcats shot 55 percent and hit 12 3-pointers, MSU is a team mired in a three-game losing streak and searching for answers through introspection. And so it’s unanimous. In terms of team defense, the Bobcats have lost their way. Weber State exploited MSU’s struggles early and often by making 12 of its first 18 shots (including six 3s) to open up a 17-point first-half lead. For the game, the Wildcats made 30 of 55 shot attempts and outrebounded Montana State by a dominant 46 to 27 margin. Weber State has now won 10 in a row against MSU. It was the third consecutive game in which the Bobcats were beaten on the boards, and the second straight contest in which MSU allowed its opponent to shoot 55 percent or better. Tyler Hall scored 28 points to lead an offensive output that typically would have been good enough to produce a victory. But the Bobcats entered Thursday giving up an average of 79.9 points per game, the most in the Big Sky Conference. This loss did nothing to help shore up that number. Brekkott Chapman hit his first four 3-point attempts in the first half as Weber State jumped out to its big lead. He finished with 21 points on 6 of 10 shooting. Jerrick Harding, the No. 2 leading scorer in the Big Sky, led the Wildcats with 23 points, though he was quiet through most of the first 20 minutes. 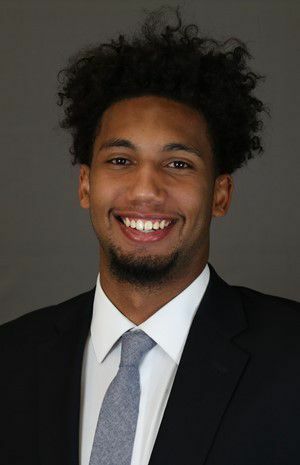 Big man Zach Braxton added 17 points and pulled down a game-high 12 rebounds, and helped take advantage of early foul trouble on MSU’s Devin Kirby. In the end, the Wildcats scored points on more than half of their 77 possessions. “They were efficient in what they were doing and they got to their spots, and you’ve got to give the credit for knocking down that many shots, but I don’t think we necessarily executed the game plan the way we wanted to,” Frey said. Nevertheless, the Bobcats crawled back to within seven points midway through the second half. 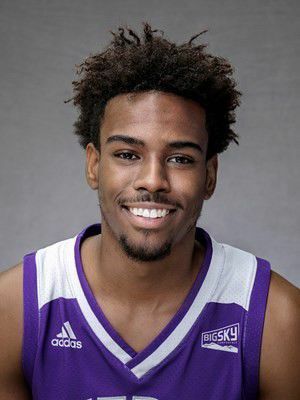 An 11-1 run highlighted by a Hall 3 and a layup on a cutting drive by Keljin Blevins pared Weber State’s lead to 62-55 with 11:18 remaining. But defensive stops remained few and far between at that point, and the Wildcats never gave up control. “I felt like we were fine, but it would come down to a stop. We’d drop our head if we didn’t get a stop,” Fish said. “We had chances, we were burning timeouts to try to get stops, we were talking about it, we were (talking) in the huddle about what we were going to do. On a three-game skid and with matchups against rival Montana and Northern Colorado on the horizon, Saturday’s home game against Idaho State becomes more magnified. MSU needs a win in a bad way, and they know it. “This one is really big for us,” Neumann said. “Coming off three losses, having that week off before we play Montana — we’re definitely not overlooking them; Idaho State’s really, really good — this is definitely a must-win for us just as far as momentum-wise. Jeff Welsch: Montana State's Tyler Hall about to make history — is anybody noticing?